From feeding the world to analyzing innovation, Arizona State University faculty and students played a big role in the annual meeting of the American Association for the Advancement of Science (AAAS). Topics discussed by ASU professors included feeding a growing world with current technology, capturing carbon, the Earth’s dynamic interior, exploring alternate life forms, big data and health, a model for innovation, and applying math to historical innovations. How will we feed a world population predicted to grow to 9.6 billion people by 2050 using only the resources that are available today? The answer may be what scientists call sustainable intensification. Sustainable intensification refers to increasing food production without reducing environmental quality, and takes into account a broad range of factors, including a changing climate, changing patterns of consumption and the need to sustain both natural resources and human livelihoods. ASU geographer B. L. Turner II discussed the topic in a panel symposium. Turner, a distinguished sustainability scientist in ASU's Julie Ann Wrigley Global Institute of Sustainability, is an expert in human-environment relationships. “Intensification and the potential for sustainability will certainly be affected by climate change and urbanization,” said Turner. 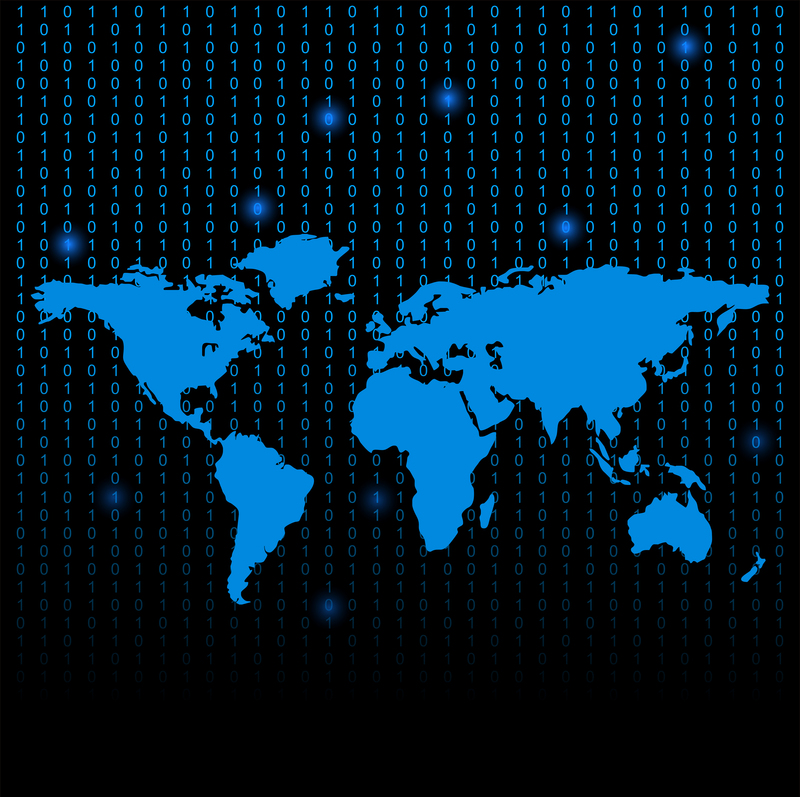 Equally important will be existing knowledge systems, social equity and the increasing globalization of society. The Arizona State University-SoilCarbon Nation team is exploring whether ranching management can create robust soils, watersheds and wildlife habitats while sequestering atmospheric carbon dioxide. The team is examining the adaptive multi-paddock grazing management technique, which involves managing livestock using small-sized fields to provide short periods of grazing and long recovery periods. The method mimics the herd migrations of animals, such as elk, bison and deer. Peter Byck, professor of practice at the School of Sustainability and the Walter Cronkite School of Journalism and Mass Communication, is an organizer of the project. “By using measures – such as the carbon stored; water absorbed and retained; populations of fungi, bacteria, wildlife and insects; and rancher and animal well-being – we are comparing adaptive grazing with conventional grazing to see if the former actually improves ranch ecosystems,” he said. While individual team members are focused on aspects and impact of various grazing techniques, key for Byck is to discover whether the methods store carbon in the soil, and if so, which is the most successful. Earth is nearly 4,000 miles deep but only the outermost few miles have been accessible to humans. Seismology is the only tool to accurately image the deep interior of Earth. Over the last few decades, seismologists have used the tool of seismic tomography to map out the interior of Earth (much like how medical CT scan tomography is used to image the human body). Observations, modeling and predictions show the inner Earth to be chemically complex and continuously churning and changing. 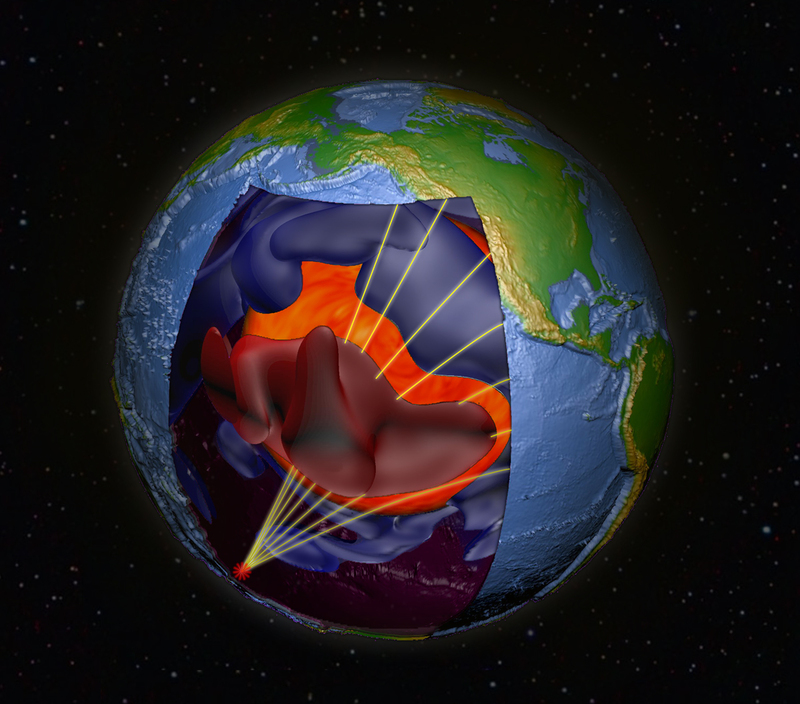 For nearly 30 years, ASU geophysicist Ed Garnero has focused his research on the area between Earth’s uppermost mantle to its innermost core. Garnero shared with the AAAS cutting-edge images of Earth's interior, which reveal two massive continental-sized blobs half-way to Earth's center that likely relate to where the most massive eruptions happen at Earth's surface. “One blob is located beneath the Pacific Ocean, the other is nearly on the opposite side of Earth, beneath the Atlantic and part of the African continent,” said Garnero, a professor in the School of Earth and Space Exploration. “The massive blobs are important because they appear to play a role in convective processes, including where mantle plumes originate – plumes are thought to give rise to Earth's hotspot volcanoes. John Chaput, a researcher at ASU’s Biodesign Institute, was part of a special session, titled “Searching for Alternative Chemistries of Life on Earth and Throughout the Universe.” The session questioned the nature of life and discussed alternatives to what biologists refer to as “the central dogma,” which describes the flow of genetic information from DNA to RNA to proteins. The central dogma describes a process underpinning all known life on Earth. But could another system lead to alternative life forms on another planet? Could such life forms actually exist on Earth, invisible to traditional methods of analysis? Chaput outlined his laboratory’s research into an alternative nucleic acid, which could act as a carrier of heritable genetic information, much in the manner of DNA and RNA. Such weird, atypical nucleic acids are known as XNA molecules. One intriguing XNA molecule Chaput described is threose nucleic acid, or TNA. Chaput offered the tantalizing possibility that TNA (or something like it) may have acted as an evolutionary steppingstone between a long-lost earlier genetic system and the modern regime defining all life on Earth currently recognized by biology. The time for big data in medicine is now. There are plenty of reasons why this should happen, according to George Poste, Regents’ Professor and a chief scientist at the Complex Adaptive Systems Initiative at ASU. Advances in genomics, sensor and device technologies, computing and social media are forging a new era of precision medicine, in which analyses of large-scale data are driving increasingly personalized interventions to improve diagnosis, treatment and critical outcomes. This is progressively shifting the focus of care from reactive responses to proactive actions. Despite the logic of using large-scale data analytics to improve health outcomes and control costs, implementation still faces significant technical, economic, organizational and cultural barriers, Poste said. Nadya Bliss, an assistant vice president for research strategy in ASU’s Office of Knowledge Enterprise Development, is working with science historian Manfred Laubichler, a professor in ASU’s School of Life Sciences, on developing a set of mathematical techniques to detect patterns in networks that point to the emergence of innovation in research. “Analysis of networks is basically analysis of entities and relationships among them – for example, people and their friends and how they’re interconnected,” Bliss said. Bliss and Laubichler focused on a network of research citations from about 300,000 authors in the field of developmental biology. Bliss used data compiled by Laubichler to create a mathematical filter that can detect certain patterns in a citation network, ultimately identifying people who spurred innovation in developmental biology. When she applied the construct to a network of citations produced from 1969 to 1980, she got a positive result. The filter pinpointed a couple of key individuals, and after cross-referencing with Laubichler’s historical records, Bliss determined they were involved in innovation. By analyzing the interactions among authors of scientific papers, the mathematical model serves as a kind of “formula for innovation,” Bliss said. Erick Peirson, a doctoral candidate in ASU’s School of Life Sciences, has been exploring new ways of bringing “big data” and computational methods to bear on the history of 20th century life sciences. At AAAS, he described a suite of computational tools under development at ASU to do just that. Peirson talked about how computational tools can be used for collaborative historical network research, and then provided an example of how one was used in a student-run investigation of conceptual novelty and change in 20th century plant ecology. He also talked about a new model for interdisciplinary training and research in data science that brings together undergraduate and graduate students from computer science, biology and the history and philosophy of science. Written by Iti Agnihotri, Nicole Cassis, Richard Harth, Allie Nicodemo, Michelle Schwartz and Skip Derra. New America and Arizona State University hosted the first annual Future of War Conference Feb. 24-25 in Washington D.C. to explore the theme "How Is Warfare Changing?" While war will continue to be brutal and include battles, air strikes and attacks of various types, the future of war will be defined by innovations in labs, cyberspace and technological and scientific advances – as well as broad shifts in global culture, climate change and competition over resources. New America and Arizona State University hosted the first annual Future of War Conference Feb. 24-25 in Washington, D.C. to explore the theme “How Is Warfare Changing?” The event brought together a diverse, interdisciplinary panel of thought leaders to discuss the profound social, political, economic and cultural implications of war and conflicts. The conference was the first high-profile event for the Future of War project, an interdisciplinary partnership between New America, a Washington, D.C. think-tank, and ASU, one of the nation’s largest and innovative public research universities. Topics included autonomous weapons, laws of war, synthetic biology, cyber security and attacks, technological and scientific advantages and the emotional impact of killing other human beings. As society and technology is ever-evolving, laws are slow to change regarding war because Congress and the President rarely talk, said Yale Law School’s Harold Koh, who spoke of the authorization of future use of military force. While the laws for authorizing war are old and outdated, the advances in synthetic biology are moving at a fast clip and have chilling repercussions if not controlled, said ASU President Michael M. Crow, who led a panel titled "How Will the Digital Biology Revolution Transform Conflict?" with ASU professors Gaymon Bennett and Gary Merchant. “Biological weapons could wipe out an entire food and water supply, reproduction abilities, change an entire gene pool and have an outcome that could affect the entire species,” Crow said. He added that scientists won’t engage in certain activities because of the possibilities and suggested a moral basis by governments to safeguard science. War correspondent Phil Zabriskie and author of “The Kill Switch,” said there are some things you can’t safeguard, such as the emotional impact on soldiers when they are forced to kill in combat. Advances in technology will hopefully cut the rate of death in both soldiers and civilians, said Arati Prabhakar, director of the Defense Advanced Research Projects Agency, which was established to prevent strategic surprise from negatively impacting U.S. national security and to create strategic surprise for U.S. adversaries by maintaining the technological superiority of America’s military. It was a sentiment echoed by Suzanne Spaulding, under secretary for the National Protection and Programs Directorate at the Department of Homeland Security, who said the recent cyber attack on Sony is one of millions taking place every week. “The line between war and peace is a thin one. We are under attack every day and we are not where we need to be in our cyber hygiene,” Spaulding said. "The only way to protect yourself against a determined adversary in a cyber space attack is to throw away your computer." Other panelists included U.S. Navy Adm. Michelle Howard, CNN anchor Wolf Blitzer, U.S. Army Gen. Raymond Odierno and U.S. Senator John McCain.